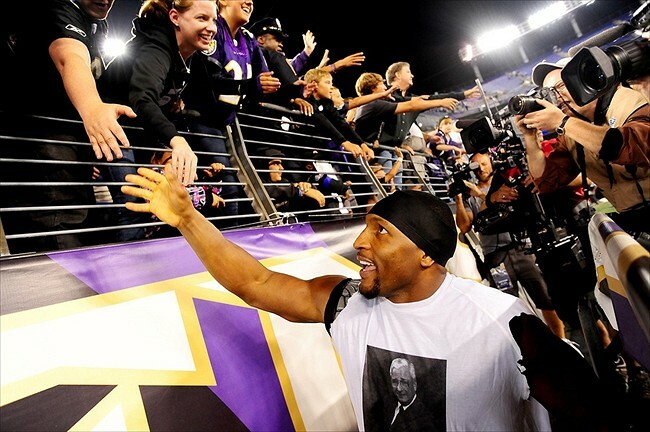 Brian H Waters: Can Ravens Fans Continue to Defend Ray Lewis? There is no doubt that he is the greatest Raven to ever step foot on the gridiron. Ray Lewis was the second player ever drafted by the Baltimore Ravens in 1996. His impact on the field is undeniable. He led the franchise to both of their Super Bowl victories. Lately, he has made headlines when it was revealed that he has been given the team owner, Steve Bisciotti advice on whether or not the team should select Colin Kaepernick. Recently he posted a video on Twitter where he told Kaepernick, “get back on the football field and let your play speak for itself.” This makes you wonder how much longer can his fans defend him. Personally, I have been a Ravens fan since day one. Ray Lewis is my favorite NFL player of all-time. However, I can't defend his post football actions. I began to wonder, is he ruining his legacy in Baltimore? I spoke with another Ravens fan, my friend, and broadcast partner, Kelsey Nelson about this and she stated, "Ray Lewis who has been with the Ravens since the beginning legacy on the football field can't be ruined in Baltimore. That's why he has the statue outside the gates. But in people's mind, their perception of him off the field and his thoughts as a leader have begun to change. Now Kelsey is a die hard Ravens fan, so I was a little surprised to hear her say that about number 52, but not surprised that she notices these things. Lewis was vocal during the Baltimore Riots in 2015. He told everyone to go and stop destroying the streets. For violence was not that answer. But then Lewis has done some things that make you scratch your head. Where do we start? In 2014, Ravens star running-back Ray Rice was released after TMZ released a video of him punching his now-wife on an elevator. Ray Lewis response was, "some things you can cover up and some things you cannot. Now you may wonder, why is this a big deal? Wellllll in 1999, Lewis was charged with double-murder in Atlanta. There are questions as to what did he do with the white suit he was wearing. Baltimore supported him throughout that case, but as they get further away from his playing days, it becomes harder for some of his fans to support him. Fans were not happy with Lewis had a closed door meeting with Donald Trump after he was elected president of the United States. Lewis along with Jim Brown did not go for politics, instead to "help African-Americans. So their visit has been in vain. 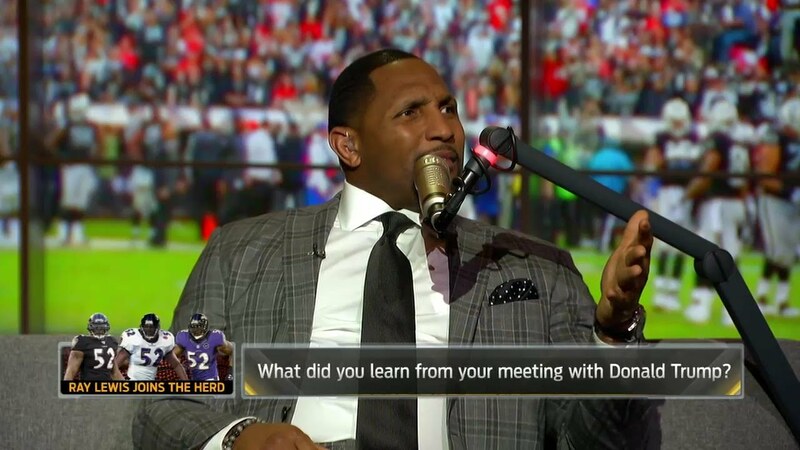 On Undisputed Ray Lewis upset the African-American community when he said that NFL owners should not worry about going into their communities to help clean up crime. Isn't that community putting money in these owner's pockets? Shannon Sharpe replied by simply saying that they should care because it is the United States of America. How do you respond to that? Now to be fair, Lewis is not one of those people who did not speak much during his playing career and suddenly had a voice. Instead, he has always been vocal often keeping God first in all of his motivational speeches. Considering his reputation, it's harder for fans to accept what he says unlike someone like Russell Wilson. Everyone outside of Baltimore sees Lewis as a hypocrite. Someone who simply likes to hear himself speak. Will there be a time where fans in Baltimore start to feel the same way?